Methamphetamine deaths have increased across Australia in the past 12 months, while use of ice among drug users is skyrocketing, research shows. Early estimates indicate that deaths from methamphetamine were as high as 170 in 2013. The death rate was half that in 2010, according to the National Drug and Alcohol Research Centre. 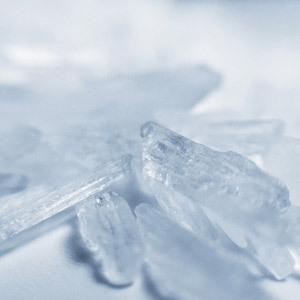 Data from two national drug surveys also show that among injecting drug users, use of crystal methamphetamine, or ice, has jumped 52% in the past 10 years. Chief investigator, UNSW's Associate Professor Lucy Burns, says the reports by the NDARC indicate a complicated picture of ice use in Australia, but the increases in deaths warrant a vigilant approach to monitoring trends, and to treatment and prevention. She says that while levels of ice use in the general population have not changed since 2010, there has been a marked shift to ice as the preferred form of methamphetamine. “Of the 2.1% of the general population who reported recent methamphetamine use in 2013, over 50% had used it in crystal form, up from 21.7% in 2010,” Professor Burns says. But what is not clear, she says, is whether there has been a shift in use among people already on drugs or whether new users are coming onto the market. Regardless, she says the new data serves as an early warning sign. Medical writer and editor of 6minutes.